Since 1909, waters along the Canada-US border have been governed in accordance with the Boundary Water Treaty, but much has changed in the last 100 years. This engaging volume brings together experts from both sides of the border to examine the changing relationship between Canada and the US with respect to shared waters, as well as the implications of these changes for geopolitics and the environment. This timely publication coincides with increased attention being paid to shared water issues in light of the United Nations’ International Year of Water Cooperation in 2013. Water without Borders? is designed to help readers develop a balanced understanding of the most pressing shared water issues between Canada and the United States. The contributors explore possible frictions between governance institutions and contemporary management issues, illustrate these through analyses of five specific transboundary water “flashpoints”, and offer both a historical survey of transboundary governance mechanisms and a forward-looking assessment of new models of governance that will allow us to manage water wisely in the future. Save $6 with our U of T Press discount order form. Email publisher@waterwithoutborders.info for more information. Praise for Water Without Borders? Water Without Borders? is a unique and indispensable read for both American and Canadian defenders of the right to swimmable, drinkable, fishable water. The rules that govern the relationship between Canada and the United States as it relates to shared water resources will predict the success or failure of any law enacted alone. 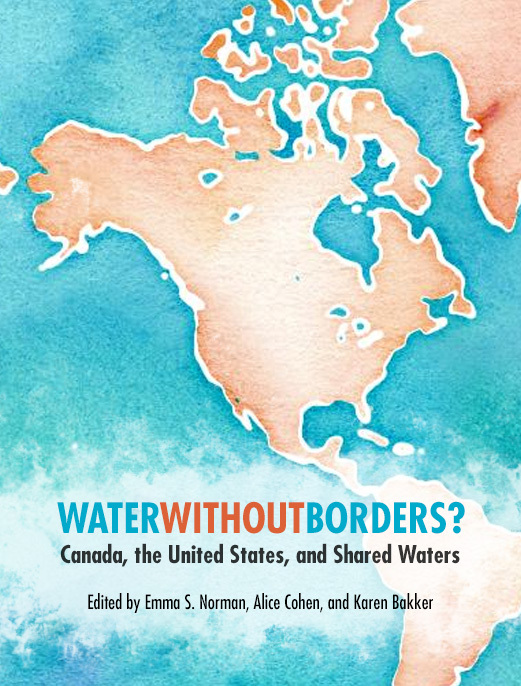 Water Without Borders offers important lessons for managing water across one of the longest political borders in the world: Canada – U.S. frontier. This book shows how the increased participation by citizen activists and watershed groups is improving water governance. Water Without Borders is a must read for anyone interested in protecting shared waterways and fortifying strong communities for the 21st Century. This is an important book that could potentially directly influence public policy with respect to water in Canada for decades to come. The book succeeds in bringing the major strands of that literature together in a single volume from a current perspective. It is also useful in providing specifics on five of the most controversial disputes along the border. It is very valuable to have an outline of each of those disputes in one place and viewed from an up-to-date perspective. …a major contribution to research — the case studies and methodology are unique… I think this could push the boundaries on interdisciplinary research work in this field.